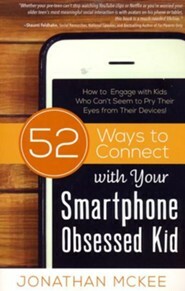 52 Ways to Connect with Your Smartphone Obsessed Kid: How to Engage with Kids Who Can't Seem to Pry Their Eyes from Their Devices! 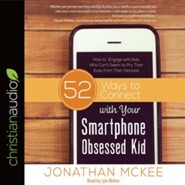 In 52 Ways to Connect with Your Smartphone Obsessed Kid, author Jonathan McKee offers help to parents who want to have meaningful interaction with their kids instead of always overreacting to their kids' unhealthy consumption of technology and media. In a world where over 80% of 12- to 17- year olds now own a smartphone, parents are searching for ways to pry their kids' eyes from their devices and engage them in real, face-to-face conversation. McKee provides an abundant supply of useful tips and creative ideas to help parents bond with the Smartphone Generation. 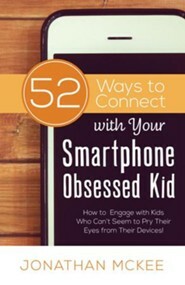 In 52 Ways to Connect with Your Smartphone Obsessed Kid, author Jonathan McKee offers just the help you need to have meaningful interaction with your kids instead of always overreacting to their unhealthy consumption of technology and media. In a world where over 80 percent of 12- to 17-year-olds now own a smartphone, parents are searching for ways to pry their kids eyes from their devices and engage them in real, face-to-face conversation. Mckee--drawing from his 20-plus years of experience working with teenagers, studying youth culture, and raising three teens of his own--provides an abundant supply of useful tips and creative ideas to help you bond with the Smartphone Generation. Jonathan McKee is an expert on youth culture and the author of more than twenty books, including If I Had a Parenting Do Over; 52 Ways to Connect with Your Smartphone-Obsessed Kid; The Zombie Apocalypse Survival Guide for Teenagers; and The Guy's Guide to God, Girls, and the Phone in Your Pocket. He has over twenty years of youth-ministry experience and speaks to parents and leaders worldwide. You can follow Jonathan on his blog, getting regular doses of youth culture and parenting helps. He also offers free resources for youth leaders and parents as well. Jonathan, his wife Lori, and their three kids live in California. "In a world where most parents feel frustrated by their kids' enslavement to social media and technology, Jonathan provides plenty of practical ideas to help parents create a climate of communication where kids actually put their phones down and engage in meaningful conversation." "If youre tired of being upstaged by a small rectangle made of glass and plastic, Jonathan McKee has the advice you need! Whether your pre-teen cant stop watching YouTube clips or Netflix or you're worried your older teen's most meaningful social interaction is with avatars on his phone or tablet, this book is a much-needed lifeline. Jonathan McKee also offers wise counsel for a variety of tough tech situations, and his suggestions are both innovative and completely doable." "Jonathan McKee understands kids and this culture like few people I know. He is also passionate about helping parents find meaningful connection times with their kids. There are opportunities to engage, connect, and bond deeper on every page. The bonus questions at the end of every connection topic are easy to get parents and kids talking and sharing life. I highly recommend this book." "Ya gotta love a guy who, speaking from a thoroughly researched standpoint plus personal experience teaching parenting workshops and herding teens (but heaven forbid, not simultaneously), understands the magical powers of cookie dough in drawing polar opposite fam members together in a kitchen and opening up conversation. Theres nothing not to love about this book." 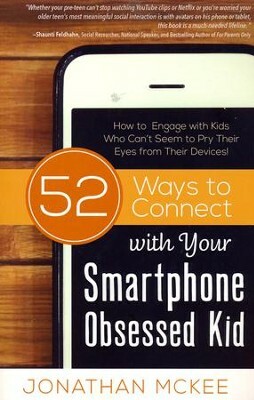 "52 Ways to Connect with Your Smartphone-Obsessed Kid may have been written for parents, but it's a must-read for all of us. Thankfully, Jonathan McKee doesn't offer a hopeless message that all is lost unless we destroy our smartphones and turn our backs on technology. Instead, he gives us simple, memorable ways we can use our devices to strengthen our relationships instead of letting our tech toys run the family show. I'll be giving copies to my kids who are raising my grands in our wired-up world." "If you're tired of seeing just the top of your kid's head bent over a smartphone, Jonathan McKee's new book, 52 Ways to Connect with Your Smartphone-Obsessed Kid, was written for you. . .and me. . .as he challenges parents (and grandparents) to examine the example we provide and encourages us we are not powerless to change the tide. . .This book is one I'll buy for my adult children as well, as my grandsons are on the journey into a world very different than the one in which I raised my sons. Jonathan's book is long overdue. " Deb DeArmond, author of Don't Go to Bed Angry. Stay Up and Fight! "Jonathan McKee has done it again! Hes provided a timely tool for any parent looking to understand their children better in an increasingly technological age. 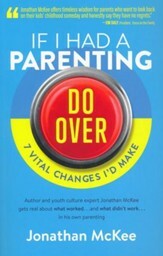 Jonathans candidness about his experiences with his own kids and the practical tips, questions, and research hes provided are bound to give any parent who reads this book the tools they have been looking for to connect with their kids on a deeper level. This book definitely has me thinking about how to create a climate of conversation with my own kids. So put down your smartphone and pick up this book!" Magdalene John, Co-Host, "100 Huntley Street"
"I regularly find that parents want help but dont know where to find the good stuff. So much parenting advice is fear-based and impractical. 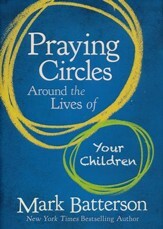 But Jonathans gift to us is that he writes to parents from the intersection of hopeful parenting and practical ideas." "Jonathan gives every parent a set of strategies to navigate the smartphone battlefield. 52 Ways to Connect with Your Smartphone Obsessed Kid provides you with three wins: connect with your kids in the on-line world they know and love, steer your whole family away from damaging habits, and become an informed model of proper technology use." "Jonathan McKee has done it again! In 52 Ways to Connect with your Smartphone Obsessed Kid, he has given parents a roadmap for relationship success with their kids. Jonathan shares important research on the overuse of screens and devices while combining his love of teens, respect for parents, and easy humor in each practical scenario offered to solve this universal challenge. A winning combination!" "As someone who speaks professionally to companies about managing distractions in a constantly connected workplace, I'm continuously asked for a resource from people on how to handle these issues with their kids. Jonathan's book is the resource I've been seeking for years. 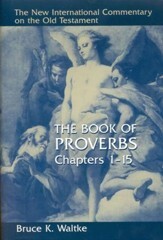 Not only will I recommend it, but I plan to adopt many of the strategies when I walk through the threshold of my home." "Parents concerns about their kids screen use often lead to anxiety-based control through contracts, apps, and filters. The result is usually alienated kids who havent learned self-control. Jonathan McKee will inspire and equip you with practical tools to build connection and influence with your kids, as you guide them toward true responsibility and wisdom with their cell phones and screens." "Jonathan McKee has written a stunning compilation of knowledge and information on the electronic world. Its an especially eye-opening experience for parents who might not be as "tech-savvy" as their children. Its packed with great ideas to turn what could be possibly dangerous issues into positive situations and solutions. 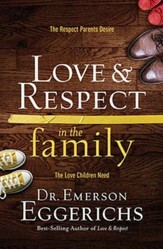 An excellent resource for every parent!" I'm the author/artist and I want to review 52 Ways to Connect with Your Smartphone Obsessed Kid: How to Engage with Kids Who Can't Seem to Pry Their Eyes from Their Devices!.